14 | June | 2015 | Troy C. Wagstaff aka CallahanWriter Blog: Topics of interest include Western Historical (1865-1899) Topics. Additionally inspirational Christian and Fibromyalgia interests. Fibromyalgia, the agitating annoying disease of frustration, fear, and hopelessness. Do you have any tips that should be added to this list that you have found to be good ways of managing fibromyalgia? Post them in the comments section. 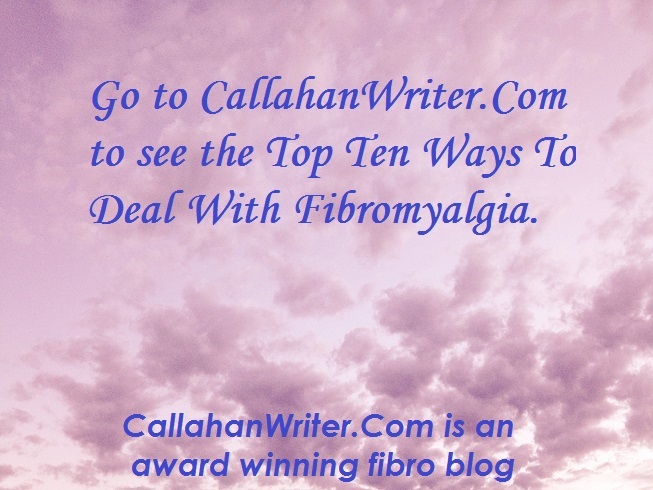 I will be writing about each one of these tips in detail in further fibro posts. Be sure to sign up so that you will be able to follow every post.